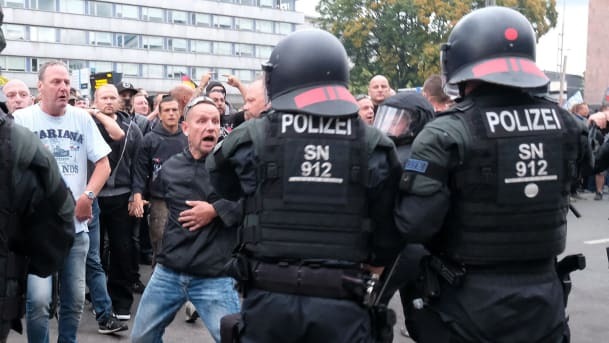 DW news (German news) highlighted the fact that anti-semitic acts in the Federal Republic increased by over 60% last year. They added that France was worse, with a 70% increase. At the same time, right-wing parties are expected to make significant gains in the election for the European Parliament, set for May. It should be emphasized that most people in these parties are simply concerned about immigration. But this could change. “BHL (Bernard Henri Levy) … is a philosopher given to interpreting the world’s maladies. He is in New York for the publication on Feb 12 of his latest book, elegantly provocative, “The Empire and the Five Kings.” It describes “the new geopolitical order which is designing itself before our eyes” as a result of “America’s abdication” of global leadership. “Last week offered fresh evidence that the most consequential historical shift of the last 100 years continues: the decline of Europe as a force in world affairs. As Deutsche Bank warned of a German recession, the European Commission cut the 2019 eurozone growth forecast from an already anaemic 1.9 % to1.3 %. Economic output in the eurozone was lower in 2017 than it was in 2009; over that same period, gross domestic product grew 139% in China, 96% in India, and 34% in the US, according to the World Bank.” (“Incredible Shrinking Europe”, by Walter Russell Mead, WSJ, 12th February). “If you’re not a socialist by age 20, you’ve got no heart; if you’re still a socialist by age 40, you’ve got no head.” So said Winston Churchill. It explains Alexandria Ocasio-Cortez, at 29, very well. But how do you explain Elizabeth Warren, aged 69? Or Bernie Sanders, who’s 8 years older! 50 years ago, it was all the rage. Students across the world wanted socialism, government control of the means of production (and everything else). It didn’t work. It made a much bigger mess of the world. Thirty years later, people realized that instead of government solving the problem, the reality was that government IS the problem! But now, thanks to young voters, we’re back to socialism being the solution to everything. This year, a number of socialists are in the US Congress. And they all have expensive ideas. Medicare for all; the Green New Deal; a guaranteed job for all; a new system for corporate control; vastly higher taxes. These are all part of the program. The cost to the tax-payer would be horrendous. A guaranteed job for all would make government even more inefficient. That isn’t to say it won’t happen. Democracy in Africa? What democracy in Africa? The Democratic Republic of the Congo’s Constitutional Court in the early hours of 20 January upheld the victory of Felix Tshisekedi by rejecting appeals by his rival, Martin Fayulu. Fayulu has rejected the court ruling and called on his supporters to organize non-violent protests. Recently, I’ve read four books on the American Revolution. All four books were written by Americans — and all four describe the Revolutionary War as “America’s first civil war.” Indeed it was. Most of the battles did not involve any British troops. And for two years after the British defeat at Yorktown, fighting continued between Americans. The conflict was between American Tories (Loyalists) and American Patriots (Rebels). In some areas (notably South Carolina) 80% of the citizenry supported the Crown. In fact, at one point the Patriots were ready to give up on the South as they were solidly loyal. One thing is clear – the more conservative you are now, the more likely you are to have been a Loyalist! “Within a year after the war ended, about 100,000 Americans left their homes. Most of them went to Canada. The rest chose England, Scotland or British possessions in the West Indies. Within a generation the new Canadians had spread across the vast British dominion, taking with them the virtues and the visions that they and their ancestors had had as American colonists. Granted large tracts of land, they transformed a wilderness into a vibrant nation. Many became prosperous farmers or started mercantile dynasties. “Seldom had a people done so well by losing a war,” a Canadian historian wrote. “Today, four to six million Canadians – about one fifth of the population – claim a Tory ancestor. Many Canadians believe that their nation’s traditional devotion to law and civility, the very essence of being a Canadian, traces back to being loyal, as in Loyalist. “Below the border live the people who started another country, built by Rebels. Within a generation, those Rebels would begin to forgive – and forget – the Tories. They would call the Revolution a war between Americans and the British, losing from their collective memory the fact that much of the fighting had been between Americans and Americans.” (“Tories,” Thomas B. Allen, page 333). This obscures the fact that the war saw brother fight brother, that neighbors fought each other. We have seen this twice in our history. Now, we are dividing again. Could history repeat itself? The French election on Sunday went as expected, with a victory for Emmanuel Macron, a centrist with no real political experience. A few days before the election, his opponent, the very conservative Marine LePen, said that one week later France would have a female leader, either Ms. LePen or Germany’s Angela Merkel. As if to prove the point, Mr. Macron’s first promise, to issue joint Eurobonds, was quickly over-ruled by Germany’s leader. Germans are far more frugal than most other nations – the idea of issuing joint bonds with France is not going to come to fruition. Macron is a very successful investment banker, with considerable personal wealth. He is likely to be successful in moving France’s economy forward. He will certainly be an improvement over his socialist predecessor who is leaving office with a 4% approval rating. But he is not likely to solve France’s immigration problem or the connected problem of domestic terrorism. In fact, he doesn’t even seem to see these two problems. The movement that brought him to power (En Marche – “On the move”) is only now starting to form a political party, with only a few days before the elections for the French parliament. It is quite conceivable that Ms. LePen’s National Front could dominate parliament and give M. Macron a hard time. M. Macron hasn’t started yet, while Ms. LePen certainly isn’t finished. Macron has also been speaking out against Brexit, describing it as a “crime.” That shows little respect for British democracy. A French lawyer is also trying to get Brexit cancelled on the grounds that the referendum was “illegal” – in effect, both men are saying that no matter how bad Europe is, you have to stay in it! The EU’s dictatorial nature is becoming more and more apparent. 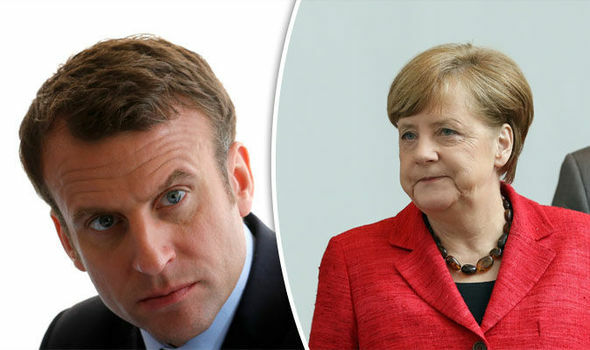 Emmanuel Macron will head to Berlin on Monday – the day after he is inaugurated as the new president of France – to hold talks with Chancellor Angela Merkel. The 39-year-old had stressed his “common ground” with the German chancellor on economic reform, fiscal discipline and Europe’s future. The former economy minister had also wanted to strengthen ties with Germany. The symbolism of Macron meeting Merkel on his first full day as president won’t be lost on the far right Marine Le Pen who had criticized Macron for being pro-EU and said if he won then France will remain under Merkel’s rule. German Finance Minister Wolfgang Schaeuble on Thursday underlined common ground with Macron in Germany and France’s bid to bolster the European Union, which has been buffeted by Britain’s decision to quit the bloc. Germany’s growing ties to Turkey are highlighted below. It brings back memories of the alliance between Germany and Turkey forged immediately prior to World War One. Germany seems to be replacing the US as Turkey’s chief ally – a situation that will receive a further boost now that the US is supplying arms to the Kurds in the war against ISIS. Turkey has its own problem with the Kurds and does not want them to receive arms. BERLIN / ANKARA (Own report) – The German government is negotiating new German-Turkish arms deals, as was confirmed by the German Ministry of Economics. Brigitte Zypries (SPD), Minister of the Economy, spoke with the CEO of Rheinmetall weapons manufacturer about upgrading the Turkish Leopard battle tank. “In principle,” such deals with NATO partners “can not to be restricted,” according to Berlin. The German government is also seeking to re-invigorate German-Turkish economic cooperation, to strengthen bilateral relations. Germany does not want to lose Turkey as a “bridge” connecting Germany and the EU to the Middle East. Under President Recep Tayyip Erdoğan, Ankara is not only strengthening the country’s economy and, in the long run, making it one of the world’s top ten economies (“Vision 2023”), he is also planning to transform the country into an independent regional power, forming alliances as it chooses – no longer dependent on the western states. The reorientation of its foreign policy is accompanied by the country’s transformation into a presidential dictatorship. Following the resignation of the OVP party leader from the governing coalition, another election in Austria is likely. This time, the right wing People’s Party is doing well in the polls, which show they have more than 30% of the population behind them. The party, like other right-wing parties in Europe, is against Islamization and the arrival of millions of Muslim immigrants. With the French and Dutch elections, we saw that European countries are out of line with the US and Britain. We also see the remaining 27 countries of the EU sticking together – it’s increasingly unlikely that any other nations will break away, especially as the EU seems determined to punish the UK for leaving the organization. Thirdly, a clearer picture is emerging of Berlin’s role as the leader in Europe. Europe now is a German led super power, with a greater economic role than the US and with the potential to play a much bigger military role. 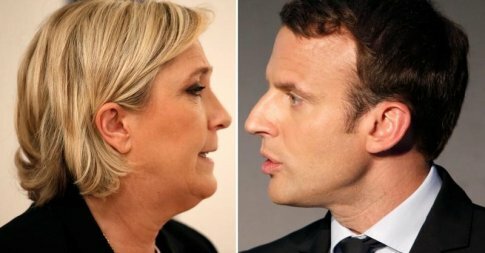 The second round of the French presidential election takes place on Sunday. Polls (!) show that the centrist candidate, Emmanuel Macron, is leading with 62% of the vote. Madame Marine LePen, of the National Front, is not doing so well. Reports say that she is already looking to what is often called “the third round of the presidential election,” voting for the Legislative Assembly, in June. She has the potential to lead the opposition to Macron, who has no party support. A future crisis (financial or terrorism), could lead to a major upheaval that would be to her benefit. Mrs. LePen’s support comes mainly from rural areas and France’s rust-belt; Mr. Macron has all but 5% of the vote in Paris and the more affluent regions of the country. The French political system, with three elections in just a few weeks, is rather complicated and, certainly this time, quite suspenseful. For the first time since the birth of the Fifth Republic in 1958, the major parties are not involved in this second round – their candidates did not garner the necessary support. It’s not just the political system that is different in France. Mr. Macron, married to his former school-teacher, 25 years older than himself, laughed off an accusation that he has had a gay relationship with a prominent radio personality; but now is issuing frequent denials about an overseas bank account! In a heated televised debate on Wednesday evening, Madame LePen made the best prediction of the evening. She said that seven days from now, France will have a female leader – either her or Angela Merkel, Germany’s Chancellor. Mr. Macron is a committed European, whereas she would like the French people to have a Brexit style referendum on the country’s future membership. Under pressure, M. Macron is talking about the need for Europe wide reforms, but he would keep France in both the EU and the single currency, the euro. A victory for Emmanuel Macron would mean the 27 remaining members of the EU will stand together against the United Kingdom in the Brexit negotiations. A win for Mrs. LePen would actually help London, though no politician in the UK is going to say anything to that effect! So Sunday’s second round is not just about France, but Europe. We should know the outcome sometime Sunday evening, Eastern time. The migrants arriving in Italy are overwhelmingly economic migrants seeking a better life in Europe. Only a very small number appear to be legitimate asylum seekers or refugees fleeing war zones. The director of the UN office in Geneva, Michael Møller, has warned that Europe must prepare for the arrival of millions more migrants from Africa, Asia and the Middle East. (Gatestone Institute, 5/5/17). Yanis Varoufakis, the former Greek finance minister who negotiated with the EU during the financial crisis a few years ago, is warning the United Kingdom NOT to negotiate with the bureaucratic nightmare known as the European Union. In effect, Mr. Varoufakis was saying that nobody wins against the undemocratic EU. Wolfgang Munchau, a German contributor to the London-based Financial Times, is also warning the Brits that they cannot win against Brussels. The alternative for the UK is simply to leave and face the consequences, what is called a “hard Brexit.” There are plenty of other countries wanting trade agreements with the UK, so there’s definitely a case for this. But the British government is hoping for a trade deal with the EU post-Brexit. They have also re-committed themselves to closer military ties, reaffirming their commitment to Europe. A hard Brexit could be a better choice. It would certainly be quicker as Brexit talks will last two years – and that time frame only covers the actual exit, not talks on a new trade pact. It’s like a divorce – after over 40 years together, the UK and the EU are now talking to divorce lawyers about a divorce settlement. As with a divorce, the only people who will benefit are the lawyers. And, as any divorced people know, divorce never ends – the animosity (and the financial costs) just go on and on. Footnote: Mr. Varoufakis, who cannot vote in France, has called on people to support M. Macron, in spite of the way he and his country were treated by the EU! Britain’s Prince Philip is retiring after seventy years of public service. His wife, Queen Elizabeth II, will continue with royal duties, but will no longer be accompanied by her husband. Shortly after the announcement, the prince was at a function when an older man came up to him and expressed his sorrow that the prince was “standing down” from his responsibilities; the prince consort quipped back that his problem was not standing down, but rather standing up! In his seventy years of public service, Prince Philip has attended over 25,000 public engagements and made over 600 overseas trips representing the United Kingdom. He will end his official duties in August, by which time he will be 96 but will still take on a few as he feels up to it.. The Queen turned 91 two weeks ago. It is expected that Princes Charles, William and Harry will take on some of Philip’s commitments. Anyone who has read “The Servant Queen and the King She Serves,” published a little over a year ago, will know that the queen is a very religious woman. I have mixed thoughts about the vote yesterday to abolish Obamacare. The ACA went into effect on April 1st, 2014. Before you marvel at my memory, I should add that I ended up in the hospital on April 2nd and spent over four months fighting for my life. I had one of those deadly infections that’s killing people all over the world. I needed two major back surgeries and then fought nausea and vomiting while working my way through all the medications. They gave up on me twice. During this time period I was in two different hospitals. The bill from the second one was a million dollars; from the first, it was roughly half that. Obamacare covered almost all my bills. If it had not been in place, I would have died. If I had gotten sick a month earlier, before it came into effect, I would have, likewise, died. Having said that, I’ve also seen the negative side of Obamacare, of people having to spend a significant part of their income to get coverage, of a bureaucracy that has often failed beneficiaries, of a system that is too expensive to be maintained. I do believe that the Republicans have made a mistake – they should have come up with another system first, before abolishing what the country already had. I’ve been in the United States for 27 years, since 1990. Health care (and how to pay for it) has been at the center of American politics during that time. Whereas other, less affluent countries, have been able to put a workable system in place in months, the richest country in the world still cannot find a solution to the problem of healthcare. Apparently, President Trump, who is in New York to meet with Australia’s Prime Minister Turnbull, made a favorable comment to the visiting prime minister about their country’s healthcare system. It’s a single payer system, so the president’s comment is of particular interest. But it’s embarrassing that, after decades of talking about it, Washington still has not come up with a sustainable medical system. Perhaps America could start by looking at the medical systems in Australia, the UK and Canada, our next-door neighbor. France, too, which the WHO claims has the best system in the world. You would think that one of our TV news programs would take a look at one or two of these other countries. I might add that if a Conservative government in the UK, the closest equivalent to a Republican administration, abolished the medical system, they would not make it back into power for decades. The same goes for the French, Canadian and Australian conservatives. John Wycliffe (1320-84) was a major figure in what became the Protestant Reformation. His favorite scripture was Philippians 2:12 – “work out your own salvation with fear and trembling.” This was heresy to the Roman Church, which dominated the country at the time. Later, the Church had Wycliffe condemned as a “heretic.” It didn’t bother him – he was already dead and buried. But his bones were exhumed and burnt. He did not just influence religion. He also had a profound political effect. Not long after the birth of the modern parliament in 1265, Wycliffe encouraged people to think for themselves, thereby encouraging democracy, an idea the church did not like at all. The freedom to think for ourselves is seriously threatened today by universities that won’t allow conservative speakers to address students, citing security concerns. This is unlikely to be a temporary phenomenon. Sadly, few remember Wycliffe today. When I visited Lincoln Cathedral in England some years ago, I asked after the man who served there for some years in the 14th century. A senior member of the cathedral’s clergy had never heard of him! I did find a very thin book on him in the bookstore, which I bought. John Wycliffe (pronounced WICKCliff) is one of the greatest men in our common history, who made a big difference both religiously and politically. France is once again dominating the news around the world. Yet another terror attack in Paris took place on Thursday, just three days before the French presidential election on Sunday. All eyes should be on France this weekend. France has more Muslims than any other European country. They total 10% of the population. Not all Muslims are terrorists, but almost all terrorist attacks in Europe, in recent years, have been perpetrated by Muslims. Some of these were “home grown,” meaning that they were either born in Europe or received citizenship in whatever country they moved to. 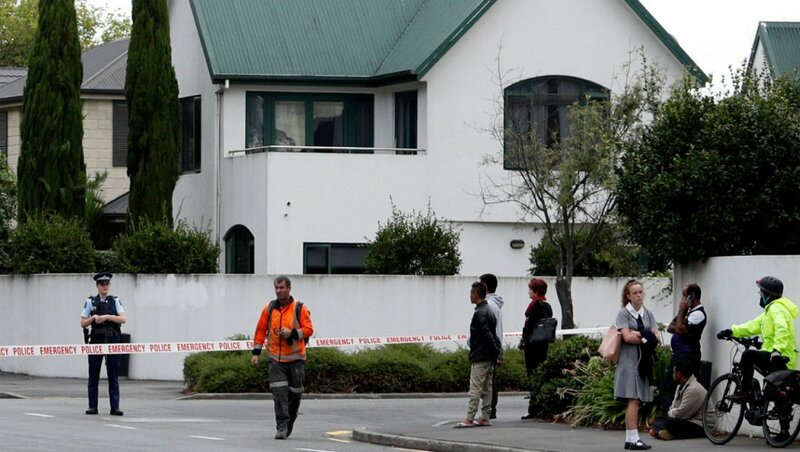 It is, of course, misleading when civil authorities announce a terrorist is “French” or “Belgian” – the general population is thereby led to believe the problem is not really Islam at all, but rather, socio-economic factors (the perpetrator lived in a poor area!). As I write, French Professor Francois Heisbourg, a Special advisor to the Foundation for Strategic Research, is being interviewed on BBC World where he is pointing out that the overwhelming majority of terrorists in France are French-born, with a quarter of those being converts to Islam. 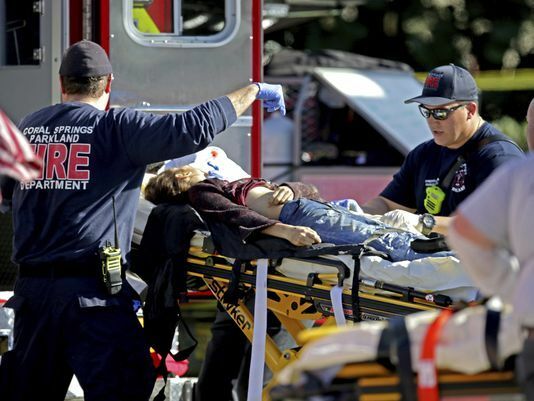 The latest attack is likely to affect the election on Sunday. Whenever there is an attack, the “right” gains with its tougher approach to both terrorism and immigration. Marine LePen is the leader of the National Front and is one of the two front-runners in the election. Today, she called for the expulsion of all people suspected of links with terrorism. Sunday’s vote is the first round of the process to choose a new president. There are eleven candidates on Sunday – assuming that nobody receives more than 50% of the votes, the two who get the most votes will then go on to a second round in a few weeks, when voters will get to make the final choice to replace the ineffective socialist President Hollande, who has been out of his depth during the terror crisis. If Ms. LePen wins, her victory could significantly change Europe. A victory for LePen could lead to similar electoral outcomes elsewhere, resulting in a more right-wing Europe. Marine LePen has promised the French electorate a “Brexit” vote, asking them if they want to leave the EU. A “yes” vote in France, one of the six countries that founded the EU sixty years ago, would be more devastating than the vote in the UK last June. Again, it could have a ripple effect across the continent. Once again, Europe is in turmoil, but it’s a peaceful turmoil, so far. Democracy continues to be the preferred form of government in every EU member country and the democratic process continues. 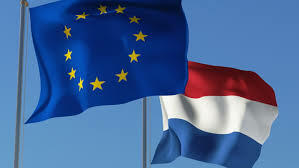 One “European” election, held last Sunday, is a game changer. The election was in Turkey, a country that first applied for EU membership decades ago. It now seems less likely as a result of a referendum, which gave President Erdogan more powers. The country has been gradually turning to a more Islamic society, going against the roots of the secular Turkish Republic founded a century ago. President Erdogan is also promising to bring back the death penalty, a move that would automatically disqualify his nation from EU membership. Another election, just announced, is the British election on June 8th. British Prime Minister Theresa May surprised everybody with her announcement made earlier this week. It’s a gamble, but if the polls are correct, she and her Conservative Party will win a landslide, supposedly strengthening her hand in Brexit negotiations. However, it could also be the case that the other 27 EU member countries don’t really care about the British election. There’s still a long way to go before the new Europe prophesied in the scriptures appears. The outcome of the French elections could be a turning point. The same can be said for the German election in September. The final outcome will see ten nations in a strong military union with Germany. You can read about this in Revelation 17:12-14.